As I was grocery shopping the other day, I stumbled upon a couple things that I had never seen. I was pleasantly surprised to say the least. I’m always looking for all natural/organic foods that are not too expensive and can replace things that are unhealthy common foods. Well, here’s a JEM…Buddy Fruits. 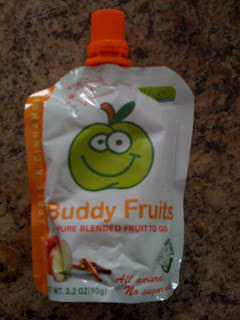 Blended fruit with no added sugar, preservatives, or anything unhealthy for you. The best part is that it is perfect for travel and they’re a whopping 88 cents! So if you’re always on the go and/or have kids then this is for you. Just unscrew the cap and eat! The other thing I found is veggie dip. So many people eat veggie dip that almost defeats the purpose of eating the vegetables because the dip is loaded with crap. 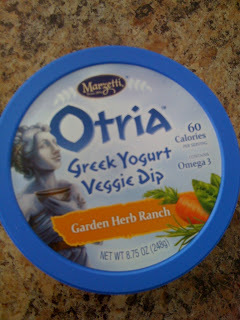 Well here is a dip made from Greek Yogurt (which is very healthy) and it tastes amazing. I’m not lying. It’s not any more expensive than regular veggie dip and I think tastes better. Both are found at Walmart. There are solutions coming out at grocery stores everywhere. The more healthy foods you buy, the more the stores will supply and put more energy into meeting the demands. So choose to be healthy for you and your family!